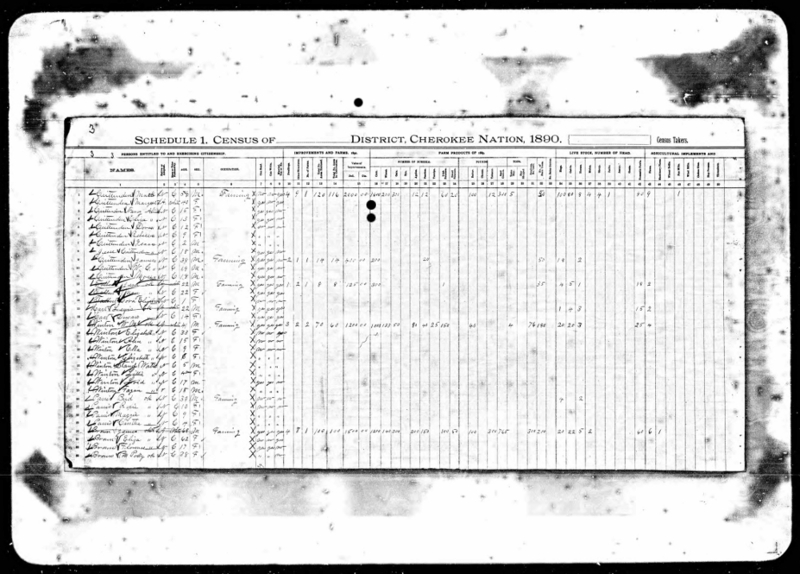 The Dawes Census Cards are an excellent source for working through complicated family connections. 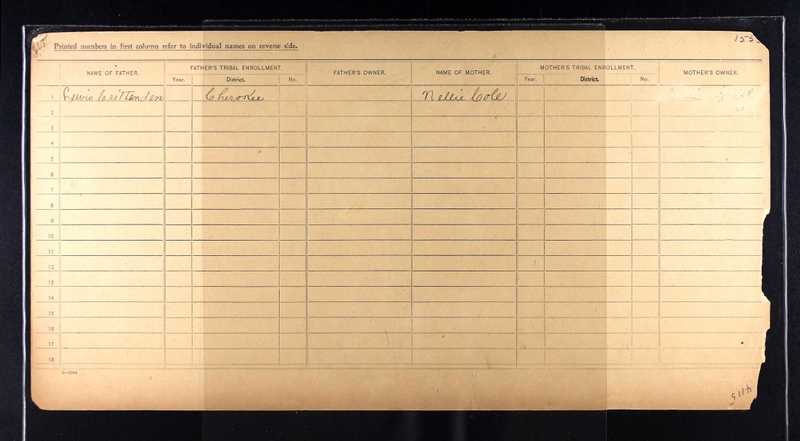 The census cards list information about the enrollee, and sometimes also include information about other family members. You will need to have done your homework before you search these cards. I have found when I try to look up someone using only their name, I do not get a good return. If you are prepared with the Dawes Census card number, or the Dawes Enrollment number, and tribe you should not have any problem. It is helpful to also know the category (options listed above), although that may be one of the pieces of information that you are trying to locate. If the person you are researching is not on the final rolls, you can use the following instructions, provided by Ancestry.com to try to locate them. 1. Choose a tribal category, indicated as “doubtful” or “rejected”, from the browse table. 2. Choose an enrollment card number range. 3. Use the “next” and “previous” buttons on the image viewer to navigate yourself through the images. 4. Check the names listed on each image for the individual(s) you are looking for. So, what can you find on these cards? If a person is mentioned on the card, even if it is not that person’s census card, they will still come up in your search. I have been concentrating on one branch of my family, the descendants of my grandmother’s half-brother, Anthony Crittenden. One of my Crittenden cousins, Anthony’s great granddaughter, provided me with a search she had done on census card numbers for Anthony’s mother, Emily Crittenden Weaver. I started pulling up cards using those numbers. Why have I been concentrating on this branch of the family? Throughout the years there was a lot of intermarriage between families related through blood or marriage to my great grandfather, Moses Crittenden. 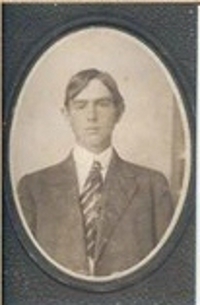 My great grandfather died in 1899, before the interview process started for Dawes applicants. The Crittendens were a close knit family and a look at census data shows that many of the families often moved together from place to place. Through reading the interview packets of his relatives, I have been able to piece together a significant amount of information about locations and dates of moves from one place to another. The Dawes application packets have a lot of information about spouses and children of the applicants. There is seldom any information about parents for applicants who are no longer minors. Siblings of adults are also seldom noted. However, this information is often listed on the census cards. The census data cards have been useful in putting together family connections, especially when trying to clarify details of two relatives with the same given and surnames born around the same year. The cards almost always list the mother and father of the applicant, along with spouses and children. The cards also have a lot of notes on them, including cross references to other census cards. Of course, the information I have found has led to many more research questions, and hours browsing through even more Dawes applications. More about that in a future blog! I was not planning on writing about Conflicting Data in today’s post. 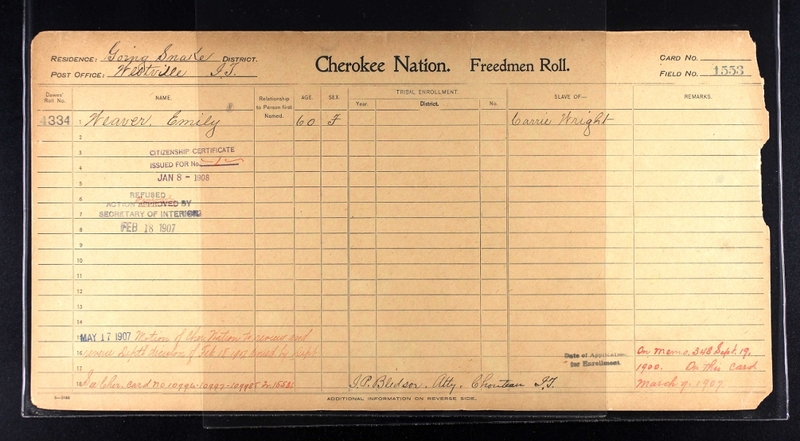 In fact, I started this post yesterday and the topic was going to be information available in the Treaty of 1828 enrollment lists and related Muster Rolls of Cherokees. As I started to record that information in my Ancestry family tree and write my article I realized that some of the information that I had recently collected did not coincide with the information that I had listed previously in my tree. I feel pretty confident about my recorded Crittenden and West family information from about 1850 forward, as I have documentation from more than one source to back it up. Before 1850 there are less primary sources for data. Some of the secondary sources, like family histories, or books written based on early oral histories, provide conflicting data. Crista Cowan, from Ancestry.com has a six part series on YouTube about accepted genealogical proof standards. There is also clear and detailed information offered on the Board for Certification of Genealogists web site, including a link to their book, “Genealogy Standards: 50th Anniversary Edition (2014)”. When I first started building my family tree I tried to only add connections for which I felt I had clear documentation. I found that as I added more family members and connections it grew harder to leave off people for whom I was still seeking information. I have often wished that Ancestry had a check box for “still seeking documentation” or something along those lines. It would serve two purposes. It would be a warning to those looking at your tree that you still had some questions about the connection of that particular person to your family. It would also remind the owner of the tree that they still had more research to do. Early in my research I would set aside the information for people for whom I was not 100% sure were a part of my family. However, what I found was that if I was following a long string of hints that was leading me from person to person, I soon lost my way if I had not started connecting the dots at the beginning. It would be so helpful to be able to check that box that would warn you and others looking at your tree – this is a link that needs further documentation. The further you go back in your tree that more complex this confusing data can be. The fact that given names were often used over and over again within families will leave your head spinning. You know that the person whose data you are looking at is related to you, but how? This is a typical scenario. William has three sons, named William, James and Charles. His wife is named Margaret and his three daughters are Margaret, Eliza, and Lydia. All three of his sons name their first born sons William. Two of them marry a woman named Margaret and one of them marries a woman named Lydia. Each of their children names their first born son after their grandfather and their second and third sons after their father and then their favorite uncle. Pretty soon you have four of five Williams married to Margarets all in the same generation. 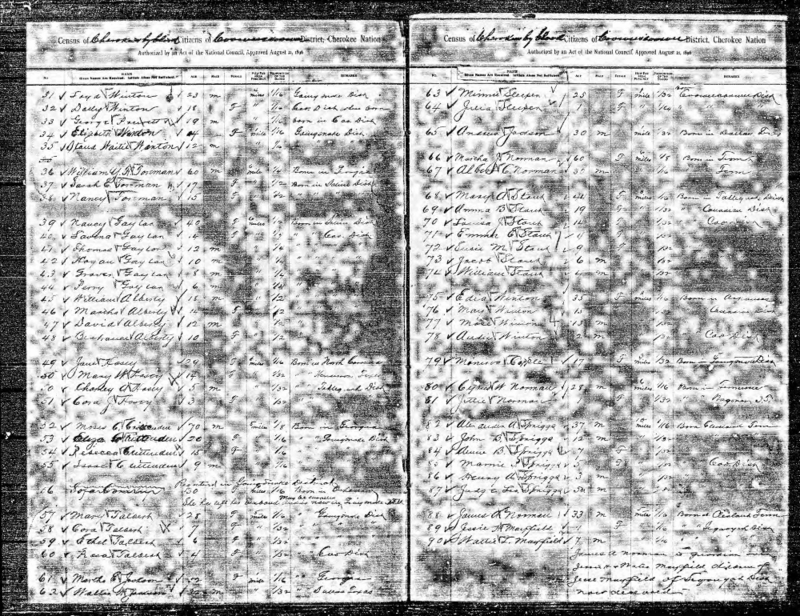 If the information that you are looking at is pre-1850 census data it can be difficult to be certain if you are looking at a record for your great grandfather, your 2 times great uncle, or the eldest son of your great grandfather’s elder brother. You get the picture. This is when it is time to slow down and look at each fact one piece at a time and search for more clues. Sometimes a little searching provides some clarification. Sometimes you record information that you are not positive about and make a note about your doubts to remind yourself to follow-up later. Having a Cherokee family with so many branches, the Crittendens, I am blessed with a wealth of information and also a fair amount of sometimes confusing details. One of the projects I am working on is to read all of the Dawes enrollment packets of those related to me. I know that I will find information about migration patterns and family relations in the testimonies that I might not find elsewhere. It is a daunting project. I have downloaded the names and enrollment card numbers for all 187 of them! 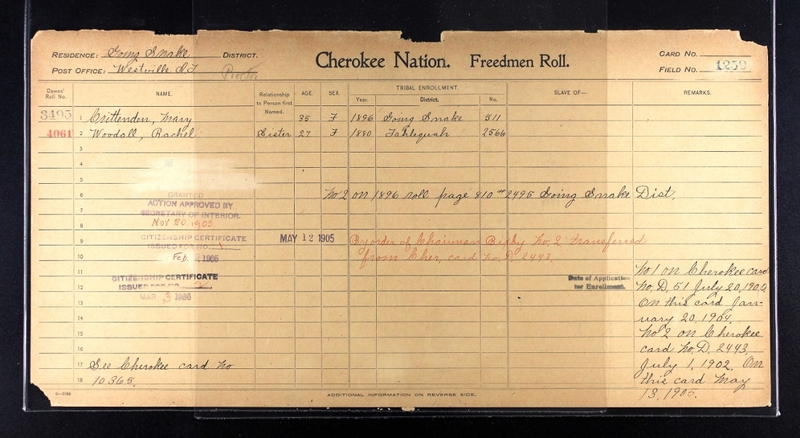 Ancestry.com, the Oklahoma Historical Society, and the National Archives at Fort Worth partnered to digitize records from the forced relocation of five major tribes, the Cherokee, Chickasaw, Choctaw, Creek, and the Seminole. 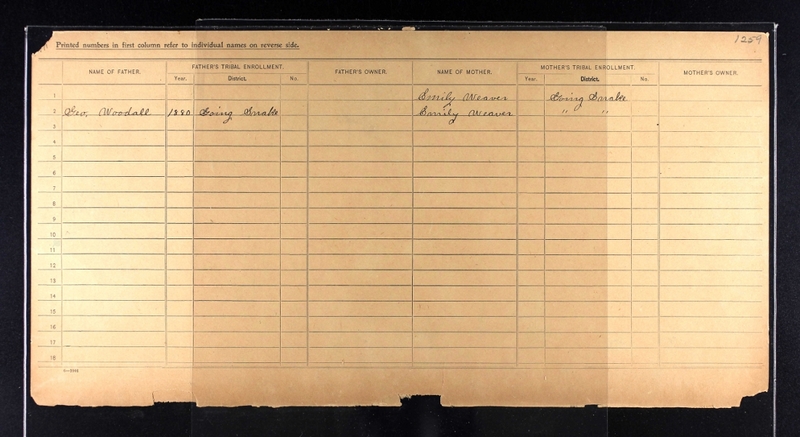 According to the press announcement, The Oklahoma Historical Society and the National Archives had a lot of information on the Five Civilized Tribes, including birth and marriage histories, but none of the information had ever been digitized. Ancestry.com, proposed the joint project, and took on the cost of scanning the records. The new records contain information from the years 1830-1940 and supplement information Ancestry.com already had available on its site. Not everyone has access at home to Ancestry.com. However, many historical societies, research centers, and local libraries have Ancestry available at no charge. Make some calls to find one near you. • Oklahoma and Indian Territory, Dawes Census Cards for Five Civilized Tribes, 1898-1914 New! • Oklahoma and Indian Territory, Indian and Pioneer Historical Collection, 1937 New! • Oklahoma and Indian Territory, Indian Censuses and Rolls, 1851-1959 New! • Oklahoma and Indian Territory, Indian Photos, 1850-1930 New! • Oklahoma and Indian Territory, Land Allotment Jackets for Five Civilized Tribes, 1884-1934 New! • Oklahoma and Indian Territory, Marriage, Citizenship and Census Records, 1841-1927 New! • Oklahoma, Historical Indian Archives Index, 1856-1933 New! • Oklahoma, Indian Land Allotment Sales, 1908-1927 New! • U.S., Native American Applications for Enrollment in Five Civilized Tribes, 1898-1914 Updated! • U.S., Ratified Indian Treaties and Chiefs, 1722-1869 New! 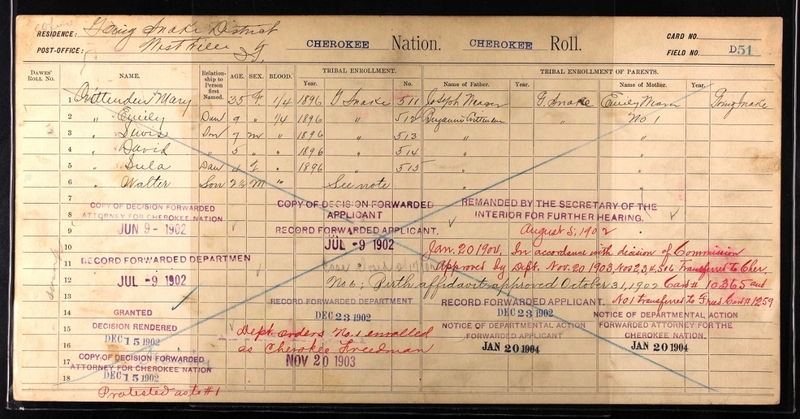 • U.S., Records Related to Enrollment of Eastern Cherokee by Guion Miller, 1908-1910 New! I have already found valuable information in the Oklahoma and Indian Territory, Indian Censuses and Rolls, 1851-1959. I knew my grandmother, Eliza Crittenden, was born in Going Snake District and that by the 1900 census she was living with her mother and younger brother in Township 16, Indian Territory in what became Okay, Oklahoma. Two of my research questions have been, when did she move from Going Snake District and where else might she have lived. Newly released censuses show my grandmother living in Going Snake in 1883, 1886, and 1893. In 1896 at age 10 she is living in Cooweescoowee District, now Nowata County. This provides some insight as to why some of grandmother’s Dawes allotment land was in Nowata County, and to why my great grandmother and my Uncle Isaac Crittenden had moved to Nowata County by the 1910 census. They had some history in that county, something I did not know before seeing the newly released 1896 census. Unfortunately, this census was released just days after I had been in Nowata County on my research trip. I know that in 1890 in Going Snake, when my grandmother was 13, my great grandfather, Moses Crittenden, was a farmer with improvements on his land valued at $2000. The land had four dwellings and nine other structures. He was the only one farming this land which had 120 enclosed acres, 116 of which were under cultivation. I also know that he had 100 hogs and that the farm produced 1600 bushels of corn in 1889. This is the kind of rich information about my grandmother’s life that I have been seeking. The first years of my research it was thrilling to fill in the blanks of great grandparents, great aunts and uncles, etc. What my heart has been craving is knowing more about my ancestors’ lives, what their daily lives were like. Why did they make some of the decisions that they made to move from one place to another. The new information available online, combined with the many threads of details that I uncovered about their lives on my recently completed research trip to Oklahoma and Arkansas, is weaving the rich tapestry of their lives. It wraps around me and enfolds me in the family. Today is a day of celebration for me. Years of research has finally led to me plotting each piece of land allotted to my grandmother and to her, then minor, son on the appropriate plat maps. The steps to accomplish this were numerous. Some of the steps had to wait for additional records to be digitalized. The final step was for me to spread out dozens of pages of notes and copies of documents and meticulously read through each legal land description and locate the land on the plat maps. This research was somewhat complicated by my grandmother’s Dawes Allotment Application Package. There were pages and pages of documents. My grandfather acted as her legal representative and first picked one plot of land and then came back to the commission and said he had changed his mind. 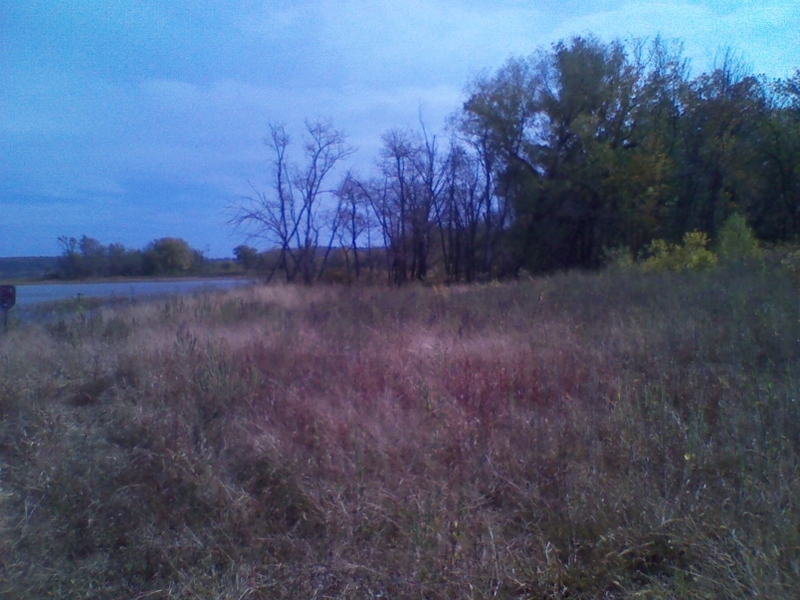 In addition, two of the pieces of land that my grandmother had been allotted were disputed as having claims from others. One of those cases was settled in her favor, the other was not. The dates on the materials in her packet range from 1905 to 1910. During that time my grandmother moved from Indian Territory to New Mexico. She also changed the power of attorney from my grandfather to her married sister in 1910. Because my grandfather changed his mind about one piece of land, and another was taken back and replaced because of a dispute, originally all I had was a copy of a certificate obtained from Tahlequah saying that my grandmother’s land allotment had been cancelled. I did not give up and a few days after getting this information I located copies of the Dawes Allotment packets online. At the time I was in Tahlequah conducting genealogy research. I took the land descriptions that I found online in my grandmother’s Allotment packet and spent hours in the Wagoner County courthouse the next day tracing the history of my grandmother’s and uncle’s land from the time it was allotted until it was no longer in their possession. The day before I left Tahlequah to return to Washington State I drove out to my grandmother’s land and stood on it. It was an overwhelming feeling to be standing there. It has been almost two years since I was in Oklahoma. I will return this October to continue my journey into my family history. While there I will visit Craig and Nowata counties where some of my grandmother’s allotment land was located and once again stand on soil that belonged to my grandmother. My next post will explain the process and resources that I used to go from a Dawes Roll number to plat maps with the allotment land identified.